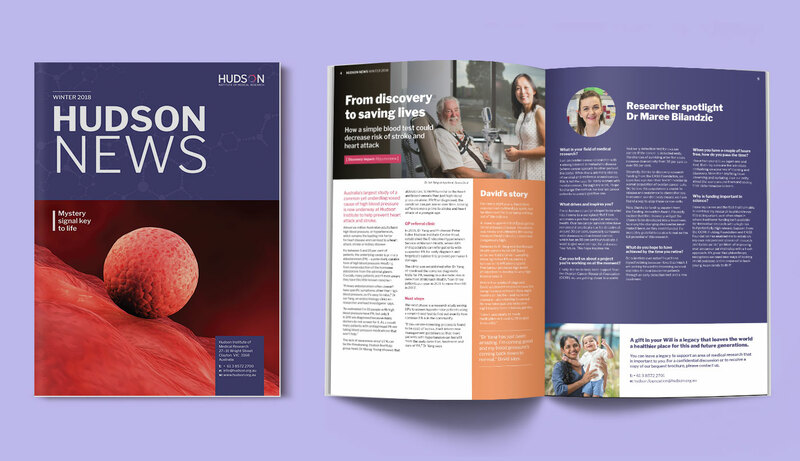 Hudson News is a quarterly print publication that highlights Hudson Institute’s breakthrough research and other important medical research news. 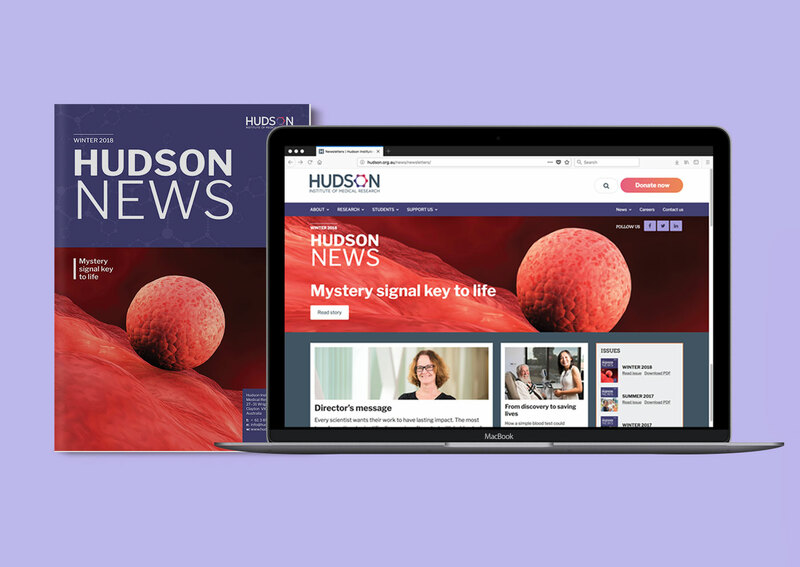 In addition to designing the print publication, Jen & Ben Design worked with the Hudson Institute’s communications team to make the newsletter digital. Hudson Institute now has a print/digital combination to traditionally release their newsletter, and then use their website and email list to ensure the news articles reach as many people as possible. The newsletter is available on their website in a highly visual format, with articles organised by issue and categorised by industry specific terms. A custom built MailChimp template makes sending out EDMs painless. Hudson News is a modern take on the classic company newsletter. 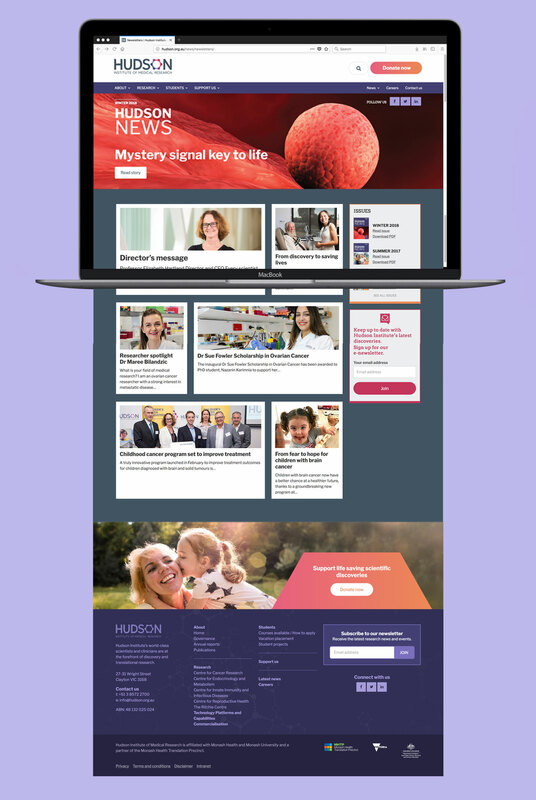 If you’d like to engage more customers with a news package, give us shout.